WFSTL Recognizes MTM as a Top Employer for Women - MTM, Inc.
As a woman-owned and operated company since our inception in 1995, MTM has always taken great strides to ensure our workplace is inclusive and diverse. 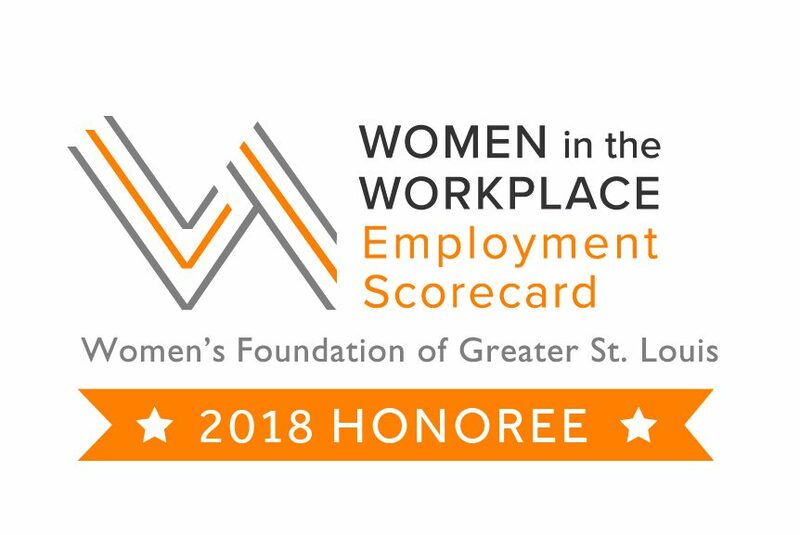 We’re honored to announce that our inclusivity practices have been recognized by the 2018 Women in the Workplace: Employment Scorecard, an initiative led by the Women’s Foundation of Greater St. Louis (WFSTL). The Scorecard is a double-blind data review that evaluates Missouri-based companies’ employment practices and their impact on gender diversity in the workplace. WFSTL rated employers in four areas of workplace gender equity: leadership, compensation, flexible work policies, and recruitment and retention. Some of the initiatives deployed by MTM that helped earn our place on the list include requiring all staff to complete our Diversity and Inclusion Training Program; offering flexible scheduling and telecommute opportunities; ensuring paid parental leaves and private space for nursing mothers; delivering programs to help nurture female staff into future leaders; and conducting an annual wage gap analysis. MTM is proud to be among Missouri’s leading employers for women! Click here to read more and access the full report, which details the measures MTM and our fellow honorees are taking to ensure gender equity in the workplace. Congratulations to our fellow honorees, which include employers like Washington University, Webster University, Enterprise Bank & Trust, the Missouri Foundation for Health, and eight other area companies.